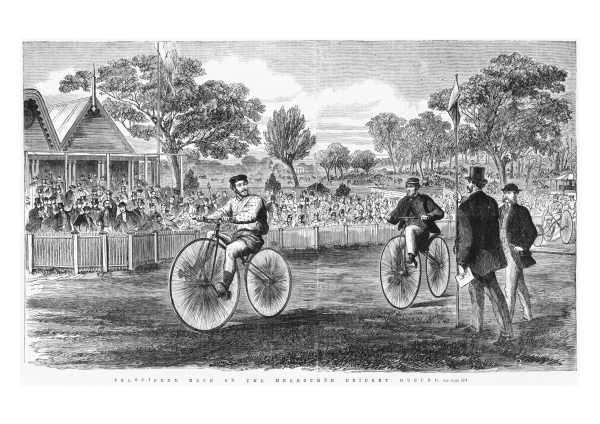 Shows a bicycle race held at the M.C.G. in front of a large crowd. The two riders pictured are the first place getter, Mr J. Finlay of Fitzroy and second place getter Mr R. Warnock of Emerald Hill. The two men on the right are the starter, Mr Wardell and one of the Judges. Date(s) of creation: August 14, 1869.